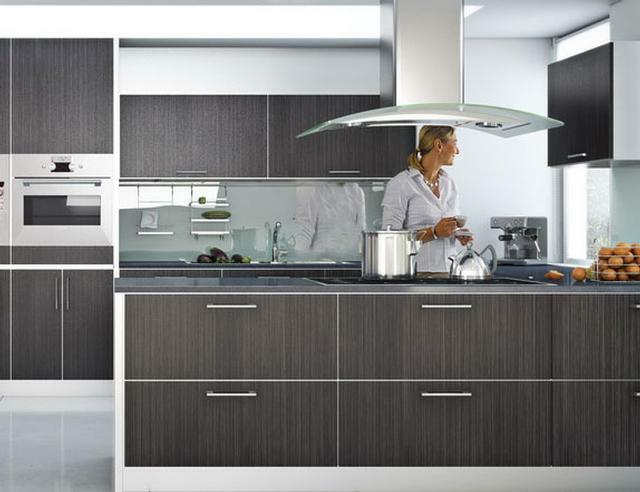 Our Nottingham kitchen showroom boasts a wide range of modern and stylish kitchens, providing our customers with a quality “designer” feel, incorporating minimal characteristics to compliment the more modern of homes. Progressively becoming a living and working area, our modern kitchens offer a great deal of functionality, especially when concerned with the kitchen’s layout, storage facilities, dining area and lighting themes. Our modern kitchen designers offer a free, no obligation consultation both at our Nottingham showroom, and at your home, to discuss and advise on every aspect of your new, modern kitchen. With a comprehensive range of woods, metals, granite worktops and additional materials, we can create a custom made kitchen with a real “wow” factor, the perfect addition to an open plan living space, or recently developed property. Each of our modern kitchens come complete with deluxe fixtures, fittings and accessories, from stainless steel taps and sinks to the very best in designer appliances and quality branded white goods. With a staggering choice of colours, themes and finishes, you can depend of Nottingham Interiors to design and build a modern kitchen of real distinction and envy.